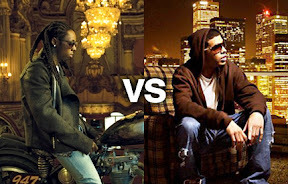 Posted bycoolsaint	 November 13, 2010 November 30, 2010 Leave a comment on Lil Wayne Punches Drake? Drake has confirmed that the just released from prison rapper did in fact punch the recording artist following a concert in Las Vegas. The entire incident reportedly happened following a weekend concert in Las Vegas that marked the finale of Drake’s tour. Rumors started swirling earlier today that Lil Wayne punched the star to discipline Drake for not giving him the proper attention while he was in jail. There is some EXTREMELY serious friction between Young Money superstar rapper Drake and Lil Wayne. Here’s the info we got, from a MEMBER OF YOUNG MONEY. There’s been growing FRICTION between Drake and Lil Wayne, and last Saturday night – it BLEW UP!!! But Bryan “Birdman” Williams managed to convince Weezy to fly to Vegas for the concert. And while things looked OK on stage, they were TERRIBLE off. Our insider explained, “Wayne didn’t even say a word to Drake until that point . . . but after the concert, he disciplined him.” What does that mean. Well, allegedly [cause we aint trying to get him violated] Wayne walked over to Drake and punched him in his face. Security reportedly BROKE IT UP and escorted Wayne off the property. Later on that night, Lil Wayne supposedly tried to meet up with Drake again, at the concert afterparty at the nearby Wynn. But security for the Wynn were told NOT to allow Wayne into the premises. However, Drake has a history of stirring up trouble and laying it to rest via his Twitter page. In September, Drake posted a joke that he had married Nicki Minaj that set off an Internet firestorm of rumors.